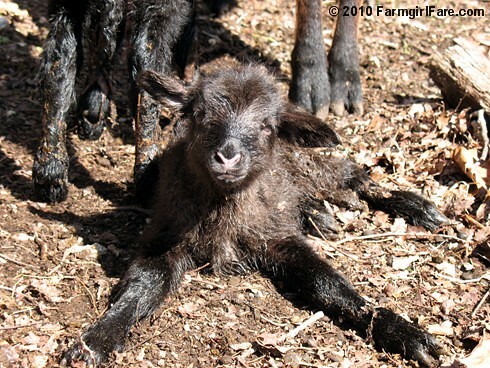 Farmgirl Fare: Monday Dose of Cute: Up 'n' At 'Em! Yes! There's milk to be drunk and lots to be done! © 2010 FarmgirlFare.com, the ready for anything now (like a nap) foodie farm blog where you have to be careful taking those breaks, or somebody up in the corner just might try and nibble your little ear off. Love your photos. 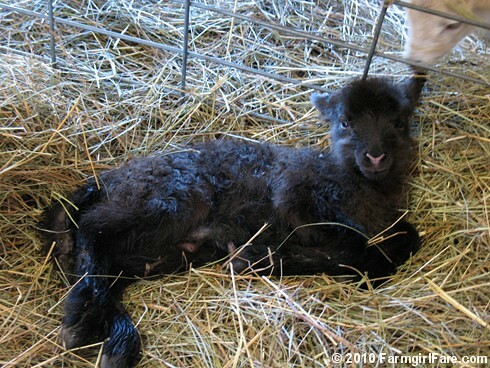 This lamb is so CUTE !!! I'm thinking where could I put one in my yard let alone in my house at night. How are all your 'fur kids' getting along now? Are you able to get out to see/feed/love them? Take cae - we're all rooting for you!! How's Joe getting along? Recovering from his spider bite?? 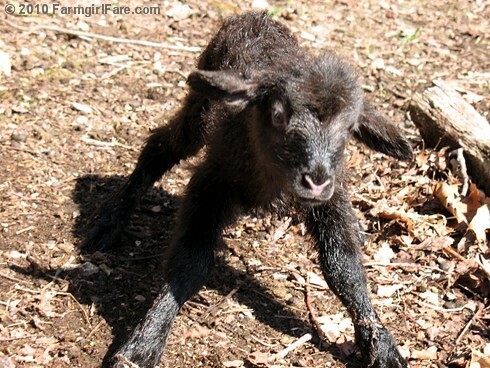 Holy pants, I can't wait to have my own sheep. SO cute! Hi. You know that being born is hard work. How sweet the little lamb is. So cute. Love the photos. For a minute I thought someone had given birth last night. I was excited about it. Oh well. Nothing beats baby animals for my Monday. Awww so cute and tiny! Sooooo cute. Luv that little nose. Ooh, hard to stand! Eh, who cares? This pic is better than any of the cute cat pics you see so much of on the Internet! 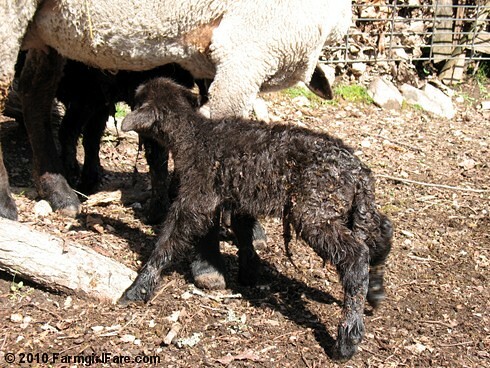 For a lamb being born it's hard work but don't let him get used to it! He looks like he could stay in that position for quite a while!